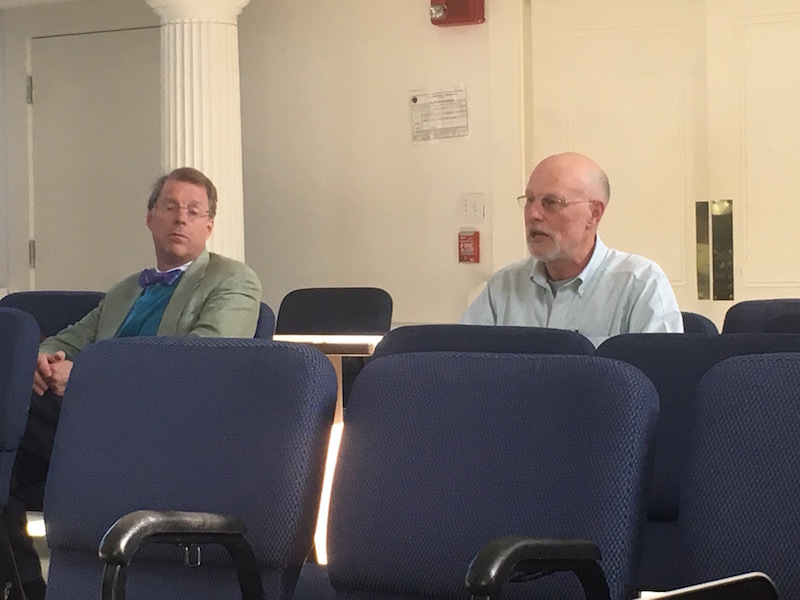 Selectmen discuss fate of new bylaw to regulate rental properties in Vineyard Haven. 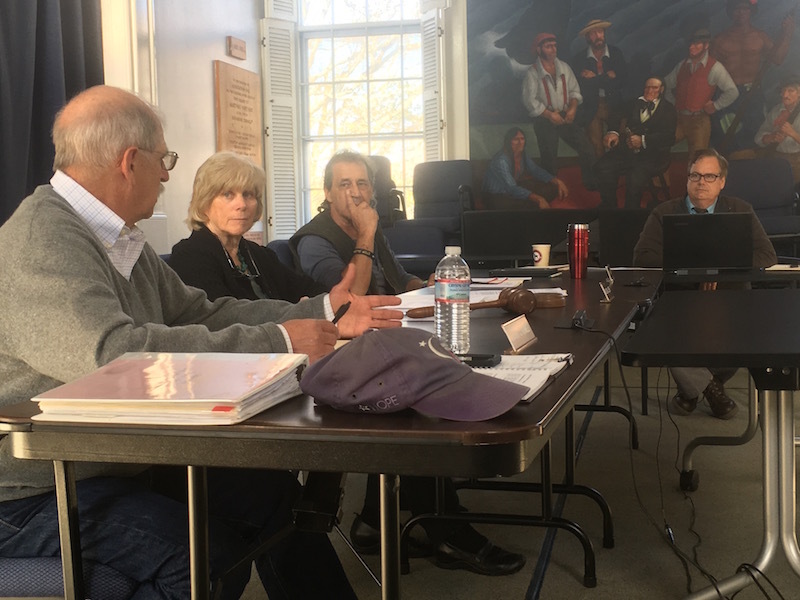 Tisbury selectmen voted last night to pull a bylaw from the town meeting warrant that would establish sweeping new regulations for rental properties in Vineyard Haven. The first of its kind on the Island, the proposed bylaw would require all property owners who rent houses, apartments, studios or rooms to obtain certification from the town or face stiff fines. Drafted by the town fire chief, building inspector and health agent in January, the bylaw appears on a special town meeting warrant that voters will take up next Tuesday night, concurrent with the annual town meeting. At their regular meeting last night, selectmen said the comprehensive bylaw had not received enough public airing. “I don’t want it to go away, I want it to remain on our minds and as a priority to get out there to the public and work on so that we have it better understood and are ready to pass it the next time we have a meeting,” selectman and board chairman Melinda Loberg said. The nine-section bylaw would apply to all rentals: seasonal, year round and short term. Property owners would be required to obtain three-year certificates, register their rentals with the town and make their properties available for health and safety inspections. An unspecified fee would be charged by the town, with a provision for waivers in certain cases, such as for affordable rentals. Mrs. Loberg said the proposed bylaw was not given the public airing it deserved because of the tight timeline between when the draft was submitted and warrants had to be finalized. Jeff Kristal, representing the finance committee, reportedly asked the selectmen last week to remove the article from the special town meeting warrant. At a town cabinet meeting last Thursday, the selectmen agreed to discuss the matter at their next regular meeting. In Tisbury, new general bylaws do not require a public hearing before town meeting. But the selectmen agreed the town would be better served through more public meetings. Regulating rentals is a growing topic for discussion on the Vineyard and also statewide. In Chilmark early discussion about regulating short-term rentals began this winter. A state bill has been filed on Beacon Hill that would allow towns to tax short-term rentals such as Airbnb. But selectman last night disputed the notion that the bylaw is in any way a “money grab” by the town. “This is really an attempt at safety, what was submitted to us,” said selectman Tristan Israel. Mrs. Loberg agreed. “This is a custom across the Island, people renting their houses, many times just to make their mortgage, we don’t really want to disrupt that custom,” she said. Fire chief John Schilling, who was part of the team that drafted the proposed bylaw, emphasized that it was for public safety, especially the safety of renters. Mrs. Loberg backed the fire chief. The selectmen voted unanimously to withdraw the article and begin to schedule public meetings. Following the vote, selectmen Larry Gomez said he would insist on a strict timetable for the public discussions. Safe rentals and safe buildings are always a positive but this is going too far into infringement on someones private property and private property usage. Are we now living only at the whim of the government, to provide a tax base to be milked without a say in even our own homes? Are we to now live in a Home Owner's Association across the whole island? If this is a reaction to AirBNB and such I sympathize with the concerns and motivations but a certification process is only adding an additional layer of government, fees, etc. that infringe on our personal rights and freedoms. Food for thought. Our building and zoning laws should sufficiently cover those concerns. Don't bother writing any new bylaws or zoning laws . The ones on the books now are rarely enforced and the people in charge of enforcement will only follow through if it fits their personal agenda . This latest is just a lot of posturing . If they have been into properties that are nightmares from a public safety point of view, public health point of view,” why didnt they do anything about it? There must be laws on the books about over crowding etc so stop being like illegal aliens, start enforcing the laws already on the books before creating new ones!!!!!!!!!!!! I am sick of those in enforcement positions picking and choosing which laws to enforce! !